In late 2015 Andrea Gibbons published an article entitled, Salvaging Situationism: Race and Space. If we leave aside for the moment her maladroit use of the term ‘situationism’, what we find is an argument charging the predominantly white, male membership of the Situationist International circa 1958 to 1960 with the neglect and racist ‘betrayal’ of an Algerian member of the group, namely Abdelhafid Khatib. Gibbons charge is a serious one, and if correct calls into question the Situationist critique of race and racism. The Situationist International (hereafter SI) is certainly not beyond the scope of criticism. Despite many commentators drawing attention to the so-called “purity” of the group, the SI never claimed to have extinguished all traces and lived reality of modern alienation within their ranks. This is not to justify obvious failings of the SI, but only to point out that the survival of hierarchical and ideological forms within the group was acknowledged and often contested. Thus the question, to what extent race, racism, sexism, and other ideologies of capitalism played a role in the Situationist group, is an important one. However Gibbons method of attack muddies the water by way of shoddy scholarship and a dogged attachment to a single line of speculation. In what follows I will concentrate on Gibbons questionable use of sources to construct her argument. Indeed I will demonstrate that her argument against the SI is based almost entirely upon (1) claims about source material which do not stand up under examination, and (2) the sloppy use of both textual and historical evidence which ultimately undermines her argument. Without doubt Gibbons makes more general claims about the way race and racism (and to a lesser extent gender and sexism) should be contested as a part of radical, anti-capitalistic critique. However a criticism of her argument in this regard is beyond the scope of this essay. Luckily Gerald Keaney has taken on this aspect of Gibbons argument in his article Andrea Gibbons’ Situationism. EDITORIAL NOTE: This study is incomplete on several fundamental points, principally those concerning the ambient characteristics of certain crudely defined areas. This is because our collaborator, since September, has been the victim of police regulations [règlements de police] banning North Africans from the streets after 21:30 hours. The core of A[bdelhafid]. 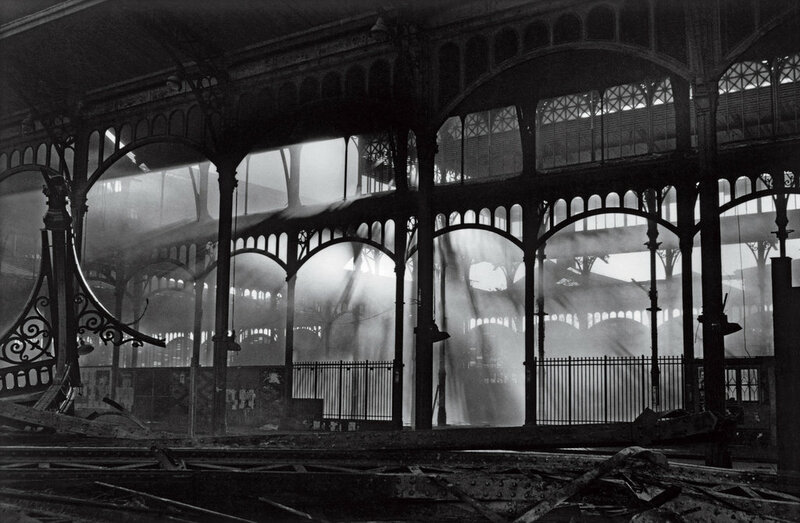 Khatib’s work concerned the ambiance of [Les] Halles at night. After two arrests and two stays [deux séjours] in a holding cell [“Centres de Triage”] he gave up. Therefore the present cannot be abstracted from considerations bearing upon psychogeography itself — no more than a future politics can. Gibbons makes two core arguments on the basis of this Editorial Note. First she claims that the editorial committee of the SI did not make good their ‘promise to consider psychogeography in light of these targeted arrests carried out against colonial subjects’. Secondly, and on the basis of the claim about their ‘promise’, Gibbons claims that Khatib and other Algerian members of the SI (for instance Mahomed Dahou) were betrayed by the other predominantly white, male members of the SI, who failed to demonstrate ‘material solidarity and theoretical rigour’ in the face of Khatib’s racist harassment by French cops. Indeed she goes further and poses the possibility that Khatib and Dahou’s resignation from the SI in, respectively, 1960 and 1959, was largely the result of this lack of solidarity and insight into the peculiar positions of Algerians in the French metropole. Considering the first claim, the SI as a group made no ‘promise to consider psychogeography in light of these targeted arrests carried out against colonial subjects’. Certainly no promise was made in the Editorial Note. The psychogeographical study of Les Halles was given up after Khatib was harassed and arrested by cops on more than one occasion. Indeed one can conceive that the calling off of the study — whether made by Khatib alone or by the group in collaboration — was an act of ‘material solidarity’, rather than perversely as its absence by Gibbons. It is clear from Khatib’s write-up of the psychogeographical study that the study was not made by him alone, even if he was solely responsible for the write up. 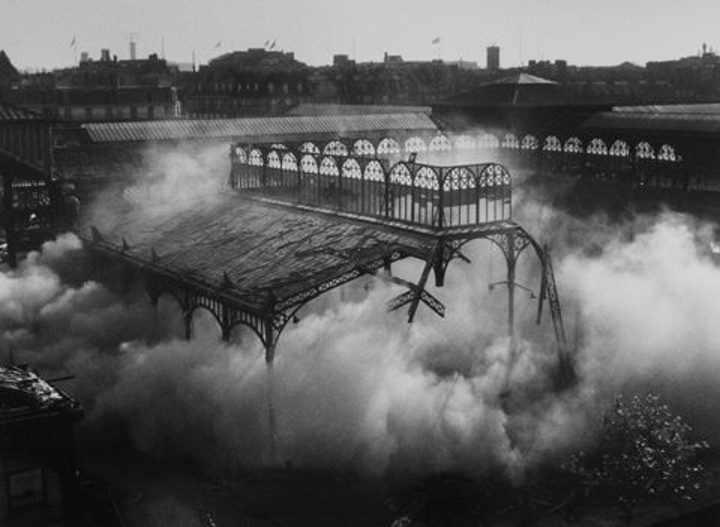 For instance he speaks of collective actions regarding the study of Les Halles: ‘We have chosen…’; ‘First of all we defined the boundaries of the quartier as we conceived it…’; ‘…we arrive at the most extensive and above all most-celebrated of this vast urban complex…’; etc. One member of a collaborative study writing up the results was a common practice among the International Letterists and Situationists. The point of emphasising this — something Gibbons does not do — is to demonstrate that Khatib was almost certainly not alone in this study. However, that it was Khatib alone who called off continuing the study (as indicated in the Editorial Note) is testament to his central, decision making role in the study. A role, moreover, that was supported by his comrade-collaborators. Again this could be interpreted as a sign of solidarity rather than its absence. What is clear from Gibbons article is that apart from her invention of a non-existent ‘promise’ she provides no clear evidence of a lack of solidarity on the part of the editorial committee. Indeed one of the more peculiar lapses on Gibbons is that she was unaware that another Algerian member of the SI, namely Mohamed Dahou, was a member of the editorial committee which was responsible for the Editorial Note quoted above. Dahou, alongside fellow Situationists Asger Jorn, Maurice Wyckaert and Guy Debord, constituted the editorial committee for Internationale Situationniste no. 2 (in which both Khatib’s article and the Editorial Note appeared). Unfortunately Dahou’s role in the SI is reduced by Gibbons to that of suffering victim, who ‘stuck it out in these circles for some time’ (as though being a member of the SI was merely a misfortune for non-Europeans). I would contest that on the basis of the foregoing Gibbons’ claim then that Khatib and Dahou left the group because of the implicit racism is at the very least questionable. More research is certainly needed before one could justify Gibbons speculation. For instance, if Gibbons had bothered to read Guy Debord’s letters she would have discovered that Khatib, after the foundation of the SI in 1957, was relatively inactive (having been more active in the previous Letterist International). Further, it appears that he became more active in the group during 1958, particularly with regard the attempted coup and accession of de Gaulle to the presidency in May 1958 (for instance see the letter Debord to Pinot Gallizio, 16 June 1958, in Correspondence, semiotext(e): 2009, pp. 119-20). Unfortunately for us, even though Debord’s letters are available to researchers (though not all of them), so far few if any letters or other forms of private correspondence of members of the SI are available. But even when it comes to what is available in the public record Gibbons casual approach is less than illuminating. Gibbons does make the interesting observation that the writing up of psychogeographical studies ended around the same time as Khatib left the SI. However, she inexplicably concludes on this basis that Khatib’s ‘comrades summarily renounce[ed] psychogeography’ in the wake of the incomplete report on Les Halles. ‘Psychogeography’, or at least the practice of writing up psychogeographical studies, does appear to disappear from the publications of the SI from around 1959. However the disappearance of such reports does not constitute the end of psychogeography as such. Indeed it is important to take note of the changing emphasises and the sometime acrimonious debates within the SI regarding its direction during this period — something Gibbons does not do. More importantly psychogeography continued to play an implicit, albeit largely unwritten role in the ongoing urban ‘drifts’ (dérives) and Unitary Urbanist criticism of capitalist “urbanism” carried out by the SI after 1959. Thus even though such reports stopped figuring in the publications of the SI there is no indication that the group ever renounced the theory of psychogeography. Gibbons’ belief that the supposed renunciation of psychogeography was necessarily related to questions of race and racism betrays her too narrow focus. In the period under consideration — 1958 to 1960 — the arguments over art and the lingering artistic influences in the SI were beginning to move to centre stage. To reduce the move away from psychogeography to Khatib’s membership and departure from the SI is to lose the bigger picture. Other members of the group resigned or were expelled over such questions in this period. Indeed Gibbons’ focus on Khatib (and to a much lesser extent Dahou) also loses sight of other non-European members of the group, notably Mustapha Khayati, originally from Tunisia. After Debord and Vaneigem, Khayati produced some of the most important work of the SI. In particular he was largely responsible for the infamous Situationist pamphlet, On the Poverty of Student Life. I raise Khayati here not in order to deflect Gibbons’ charges, but rather to draw attention to the fact that the question of non-European participation and criticism of racism in the SI did not end with Khatib and Dahou — a conclusion one could too easily draw from her article. Therefore the present — the political future, no less — may be abstracted due to considerations carried out on psychogeography itself. As we can see the meaning of the sentence is far from clear, and hopefully my new translation has rectified this. However it is hard to see how either translation can be interpreted as a ‘promise to consider psychogeography in light of these targeted arrests carried out against colonial subjects’. Indeed Gibbons’ use of the materials at hand defies reason. Not only does she draw a dubious conclusion from the above Editorial Note, she also compounds her errors with numerous additional mistakes. For example, despite her claim to have ‘struggled’ through the work of the Situationists, she appears to have gone no further than the English translations available on the situationist international online website. Thus she reproduces an unfortunate typo on the part of one of the translations available on the site: i.e. that Raoul Vaneigem wrote the article ‘A Civil War in France’ in Internationale Situationniste no. 1 (June 1958). Of course Vaneigem did not join the SI until 1961 and did not make contact with a member of the group until 1960 (namely Attila Kotányi). But in the scheme of things this is a minor mistake on Gibbons part, though redolent of a more general sloppiness with regard to her “scholarship”. Thus we have a far more egregious mistake on her part when she accuses Guy Debord and Michèle Bernstein of having signed the Declaration on the Right to Insubordination in the Algerian War in 1962, and further that ‘[t]his was their only public intervention’ regarding the massacre of French-Algerians demonstrating in Paris the previous October, 1961. Unfortunately Gibbons is wrong, and on both counts. We respect and judge justified the refusal to take up arms against the Algerian people. We respect and judge justified the conduct of those French men and women who consider it their obligation to give aid and protection to the Algerians, oppressed in the name of the French people. To sign this Declaration was to publically declare oneself in solidarity with the armed struggle of Algerians against the French occupation. At the time the Declaration was extremely controversial in French public life. The Declaration was made by those supporters of Algerian independence who had become frustrated with the timid and opportunistic politics of the “official” left — predominantly the large, Stalinist French Communist Party (PCF), whose effectively non-existent opposition to the war amounted to a call for peace (as opposed to supporting independence, which the PCF did not). To be publically associated with the Declaration was to risk arrest, state harassment and the loss of employment — a fate that befell many of the signatories. Unfortunately by getting the date of the Declaration wrong no less than twice (and so presumably not the work of a tired or slack editor) Gibbons not only misunderstands the real object of the Declaration, she also unwittingly maligns the role of the Declaration in the attempt to constitute a real opposition to the French war in Algeria. The complete separation of workers from France and Algeria — which should be understood as not principally spatial, but temporal — has led to a delirium of information, even from “the Left”, who’s newspapers, on the morning after the killing of eight French protesters by the police on February 8th , spoke of it as the bloodiest clash on record in Paris since 1934, without mentioning that less than four months previously, on October 18th , Algerian demonstrators had been massacred in their dozens. No doubt the police responsibility for the 8 dead at the Charonne railway station in Paris in February 1962 was an outrage. However as the SI pointed out, the greater outrage was the effective effacement of the October 1961 massacre of French Algerians in Paris by the newspapers of “the Left”. Here the SI demonstrated both ‘material solidarity’ and ‘theoretical rigour’ by drawing attention to not only the role of the French state, but the duplicity of the “official” communist party. That Gibbons is unaware of this comment by the SI is testament to her slack research. That she confuses dates and makes false claims on this basis suggests outright mendacity. (NB. For more details on the October 1961 massacre and the collusion of the “official” left in the cover up check out Kirstin Ross’s book May ’68 and Its Afterlives). I tried to summarize the point of this article for him […]. An Algerian tried to study Paris, I said, an Algerian named Abdelhafid Khatib, and because he was an Arab he was harassed and imprisoned. Because he was an Arab, he could not freely move through the city, he could not observe, he could not carry out a dérive the way his comrades could. And none of them cared. This is where Gibbons ill-founded argument ends, her vituperative accusation that Khatib’s comrades, in their supposed privileged ‘arrogance’, simply did not care. But in fact she provides no evidence that this was the case. And the “evidence” she does provide, as we have seen, bears little relationship to the conclusion which she extracts. Surely the only carelessness and arrogance in this regard is to be found in her sloppy research and hasty conclusions. Ironically Gibbons entitled her article ‘Salvaging Situationism’. As anyone who has more than a passing acquaintance with the Situationists knows, ‘situationism’ was a term of derision and scorn used by the Situationists. For them it signified the recuperation and disarming of their living criticism — i.e. their practice — and its transformation into an intellectual doctrine that was so much grist for the mills of academic dissection. Through her misrepresentation, half-truths, skewed history and outright lies Andrea Gibbons has, indeed, contributed to ‘situationism’. In doing so she has proved herself, at least in this case, beyond salvage. 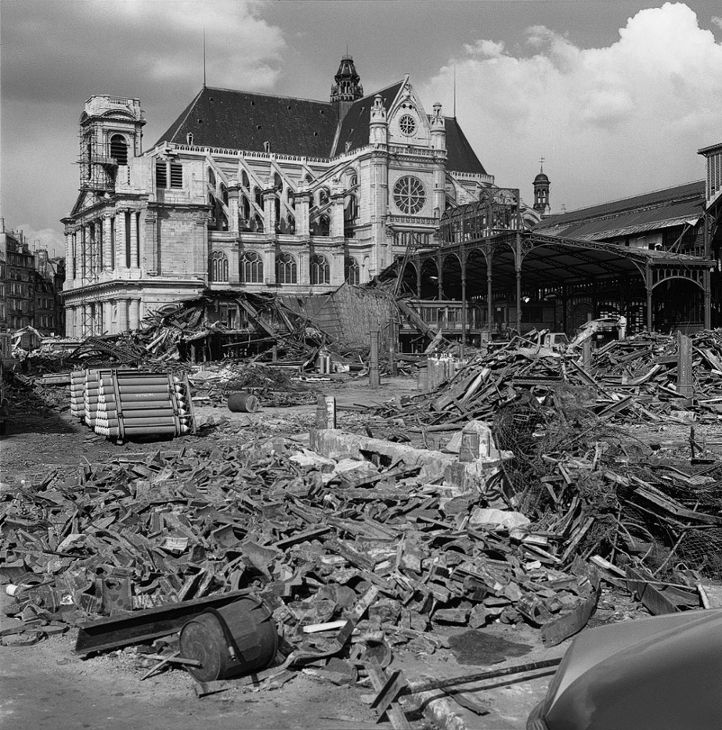 This entry was posted in Critique, Research Notes and tagged A Civil War in France, Abdelhafid Khatib, Algeria, Algerian, Algerian War, alienation, Andrea Gibbons, Asger Jorn, Attempt at a Psychogeographical Description of Les Halles, Communication prioritaire, critique, Déclaration sur le droit à l’insoumission dans la guerre d’Algérie, dérive, Declaration on the Right to Insubordination in the Algerian War, drift, Essai de description psychogéographique des Halles, France, Gerald Keaney, Guy Debord, I.S. no. 1, I.S. no. 2, I.S. no. 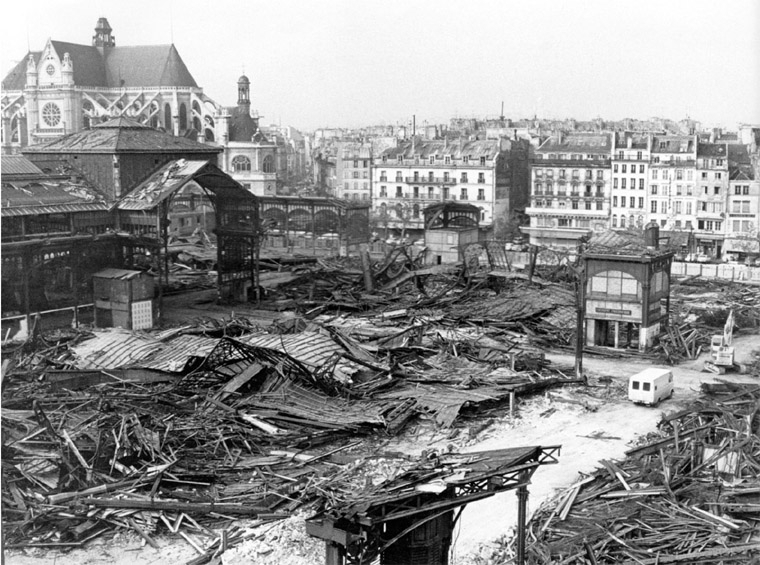 7, ideology, internationale situationniste, L'internationale situationniste, Les Halles, Mahomed Dahou, Manifeste des 121, Manifesto of the 121, Maurice Wyckaert, Michèle Bernstein, Paris massacre of 1961, Pont Saint-Michel, Priority Communication, psychogeography, Raoul Vaneigem, récupération, Saint-Michel Bridge, Salvage, Salvaging Situationism: Race and Space, sio, situationism, situationist, Situationist International, situationist international online, translation, Une guerre civile en France, unitary urbanism. Bookmark the permalink. This is a very good response to a really awful; attempt to smear and denigrate the legacy of the situs. I am glad you are still active and productive, Anthony.